We are experts in E-waste recycling. Quantum is based in Melbourne but with our broad reach we can organise collection of your IT equipment just about anywhere in Australia. All you have to do is call us to get a pickup scheduled for all of your IT Assets including computers, monitors, servers and tablets. 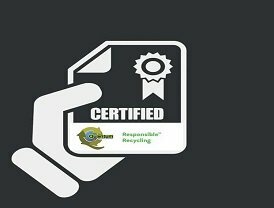 Quantum offers PC recycling services and lot more, we will come to your facility to collect your computers, as well as any other recyclable electronics, carefully packaging and recording everything that was picked up and from this point on we’ll do all the work. 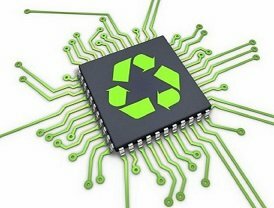 Quantum offers cost effective electronics recycling service tailored to your need. What is a CRT TV, when it comes to electronic waste? As e-waste, CRT TVs are one the most difficult types of TVs to recycle. CRTs wouldn’t be classed as a device that stores sensitive data, like a hard drive, CRTs contain a large concentration of phosphors and lead. Both of these are necessities for its display. 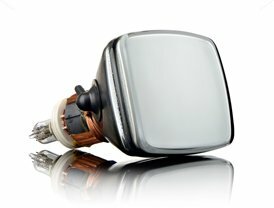 Quantum specializes recycling in CRT TVS as well as other CRT items. Quantum recovers printed circuit boards, wires, plastics and copper. Leaded CRT glass gets sent to our tertiary recyclers so that it can be re-melted to recover lead. • Corporations that value Certified IT Recycling Services choose Quantum. 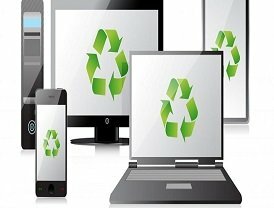 • Recycling your IT devices with us is not only the best way to protect our planet but it’s also the best way to protect your data. • Benefit from our Secure IT Equipment Recycling Programs by contacting us today in order to receive more information or to schedule your project. • Your devices will be delivered to our secure facility and we take data security very seriously. 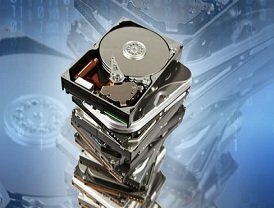 • If your device contain hard drives or storage media we will perform physical destruction to ensure that any residual data is destroyed completely. • Our shredding equipment is the best in the business. Quantum offers decommissioning service to small, medium offices, data centres, IT maintenance and big organization, procurement of assets, and a completely secure chain of custody. Such services are generally tailored to specific client requirements.Businesses of all sizes can trust Quantum for disposition of all outdated IT assets. We provide experienced and trained technicians who understand the complexities of safe decommissioning without affecting your usual business activities. When electronic devices reach the end of their useful life you must get rid of them in a secure manner as you replace them with new models and systems. The issue that many companies face is ensuring secure procedures are followed for destruction of the hard drives. No matter if you wipe the drive clean and erase the data, it still exists somewhere in the deep recesses of the system. To meet industry requirements and to protect your customers, vendors and other business associates, you need a fool-proof method of destruction that Quantum provides with both our on-site and off-site shredding as well as other storage device shredding. Feel secure about shipping your hard drives to our site for off-site destruction. We utilize our shredder to destroy your sensitive data from your hard drives in a secure manner. When the device is physically shredded, the data can no longer be retrieved. In many cases, you don’t want the data to leave your premises intact. To ensure complete destruction in the safest manner possible. Quantum provides on-site drilling of your hard drives. "Privacy data from any electronic storage device provided for disposal at end of life should be removed. This should be performed by the person who manages the data held on the equipment prior to disposal." • Our recycling facilities are specially designed to ensure your equipment is secure from start to finish. 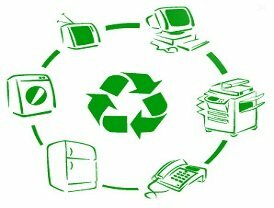 • We service both government and corporate clients to provide world class electronics recycling and destruction service. • Upon completion of your electronics destruction, a Certificate of Destruction can be issued to show compliance with product recall destruction requirements. • All of our employees undergo a background checks, sign non-disclosure / confidentiality agreements, and are thoroughly trained in product destruction. E-waste collection events are held by a variety of service clubs, municipalities, and businesses to divert electronics from landfills. 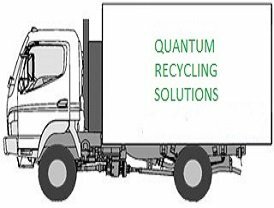 Quantum has experience in supporting electronic waste drives and assisting groups and organizations with the necessary tools to be successful. In partnership with local stewardship programs, we encourage the responsible reuse and recycling of waste electronics across Australia. Looking to organize a collection event? Contact Us. • Non-public data Then you MUST have them reliably erased and/or destroyed before being transferred out of your possession. We provide quantity of disposal for every lot of your e-waste collected, so you can keep track of it.